Feel the nature, next to your guide, on adventure, enjoy the ride! 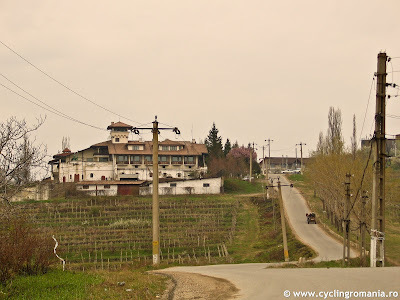 Today I did a bike trip to check a part of 'The Wine Cellars' Route, in Dealu Mare region. I covered less distance than what I first had in my mind, especially due to having no GPS with me. The direct result of that was that I got lost in the nearby woods, at Varbila. It was fun though, 'cause that oak forest is special to me and over there it was so quiet, so peaceful! After finally finding a forest trail and following it (even with bike pushing sectors), I managed to reach the vineyards on the hills close to Urlati. And then the pain started: a red, sticky mud made my Bisisica to choke almost all the time. She didn't like the riding surface and neither did I. I did only 65 km, although I aimed to 100. At the end of the trip I was quite exhausted, but very pleased with what I saw. 1. Great asphalt roads from Bucov to Boldesti - Scaieni, to Pleasa and to Plopu. 3. Breathtaking scenery right after leaving Seciu. The road is perfect. 4. The forest from Varbila to Urlati needs more investigation, with a GPS. It has potential for both bike touring and MTB cross contests. 5. The wine cellar at Seciu is in excellent condition and can host a lunch serving and wine tasting. The panorama from up there is unique! 6. The hills west from Urlati have rather poor dirt roads. Impossible to go there during the raining periods. 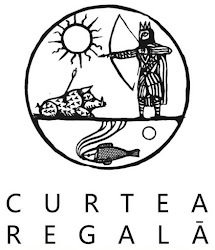 Hi - Do you know if there is a way to get to the Seciu wine cellar via public transport from Bucharest? Are there other vineyards/wine villages along the way to check out? I won't have a bike so it will be all on foot. Can't seem to find any info on this. 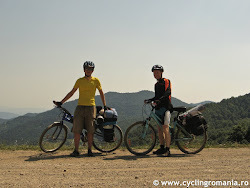 (c) www.cyclingromania.ro. Picture Window theme. Powered by Blogger.